Takamiya-juku was the sixy-forth of sixty-nine way stations (including Kusatsu and Otsu along the old Tokaido Road) along the Nakasendo Way, an old trade route from Edo (present-day Tokyo). According to records from 1843, the district stretched for a length of approximately 800 meters from north to south, and with 835 buildings, and a population of 3,560, was the second largest station along the Nakasendo Way (after Honjo-juku in present-day Saitama Prefecture). 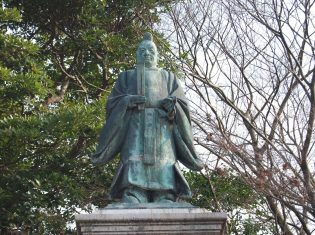 Takamiya-juku included an inn for government officials, two inns for soldiers, and 23 other facilities for other travelers. Takamiya-juku was also a lively location because it was located just in front of the gate to Taga-taisha Shrine, whose torii gates extended into the way station itself. The station was economically prosperous as well, and became well-known across Japan for its production of "Takamiya hemp cloth" during the Muromachi Period (1336-1573). With its narrow streets, marked with stone slabs carved with the haiku of Matsuo Basho, and the nearby Muchin Bridge, the Takamiya-juku area is full of scenery that calls to mind these past eras.